Miuccia Prada wanted Miu Miu's Resort '19 collection to be really playful, so it's filled with feminine dresses and skirts. 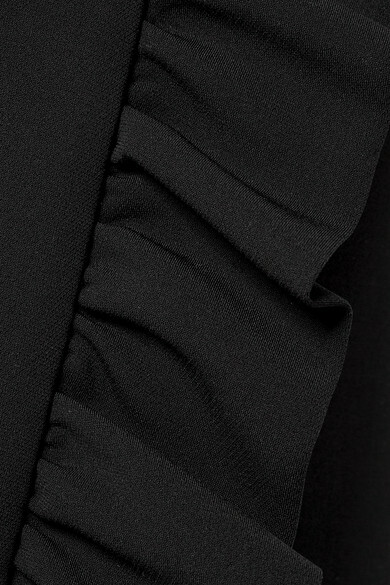 Made in Italy from black cady, this mini style has a wrap silhouette and flouncy ruffled trim. Wear yours with one of the brand's T-shirts and mules. Shown here with: Stella McCartney Blazer, Miu Miu Shoulder bag, Amina Muaddi Mules, Leigh Miller Earrings.